Home / Harmonic Filters / All That’s Hot! It’s not every October we Calgarian’s can brag about the amazing weather we’re having, so I’m taking this opportunity to say IT’S BEEN GREAT! Barbequing barefoot, playgrounds still full of kids, and the snow shovels which came out in September are sitting idle and gathering dust. YES! What’s NOT gathering dust this month are our Electrotek Drive Filters (EDF’s)! 2014 marks their 10th birthday and orders for these babies are coming in at record speed. I suppose that makes sense – everyone wants one – as our EDF’s are designed with a Dual Core Filtering System which allows you to safely operate your drives as they were intended….variably!! 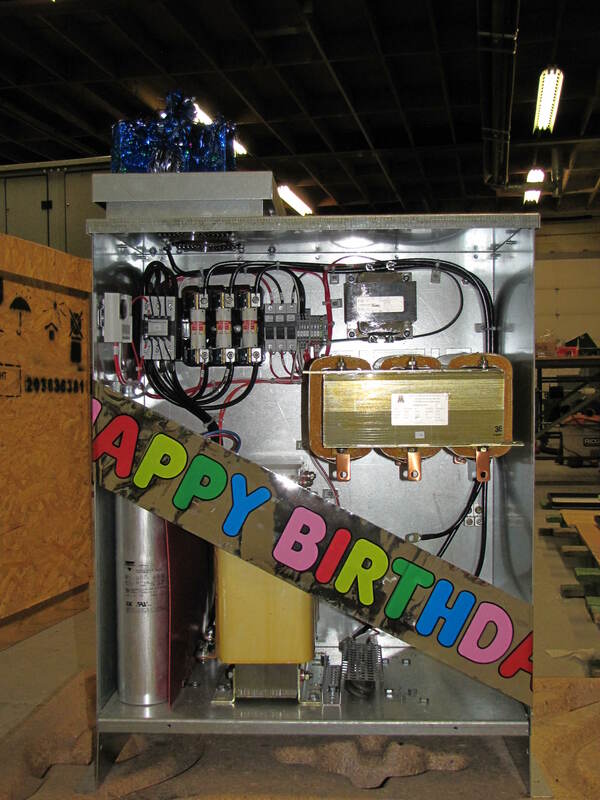 Leave the Variable in your Variable Speed Drives with Electrotek Drive Filters! Meeting IEEE-519 under any speed and load condition. Guaranteed. Happy 10th Birthday to our EDF’s!